Breakfast at the street restaurants. They are everywhere in Bangkok. 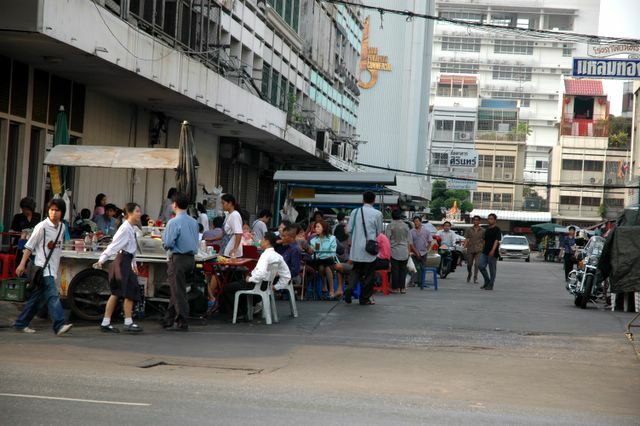 It looks like 50 % of Bangkok people are feed the other 50%.